Congratulations to Maksim Kulichenko! Maksim has just published "New Inorganic Molecular Electride Mg4O3: Structure, Bonding and Nonlinear Optical Properties " in Chemistry A European Journal, his first publication at Utah State University. Congratulations to Nikita Fedik! Nikita has just published "Insight into the Nature of Rim Bonds Chemistry" in The Journal of Physical Chemistry, his first publication at Utah State University. Our Angew. Chem. Int. Ed. 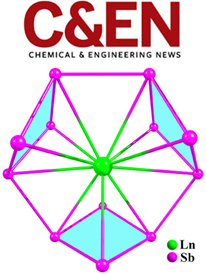 paper by Xinxing Zhang, Ivan A. Popov, Katie A. Lundell, Haopeng Wang, Chaonan Mu, Wei Wang, Hansgeorg Schöckel, Alexander I. Boldyrev, and Kit H. Bowen has been highlighted in Chemical & Engineering News: "Alumininum triple bond made for first time: Sodium ions enable elusive species in theoretical experimental studies". Congratulations to the team!!! Congratulations to Alexander Ivanov! Alexander has been selected as the winner of an individual award in the Postdoctoral Researcher category at Oak Ridge National Laboratory in this year’s UT-Battelle Awards Night program. 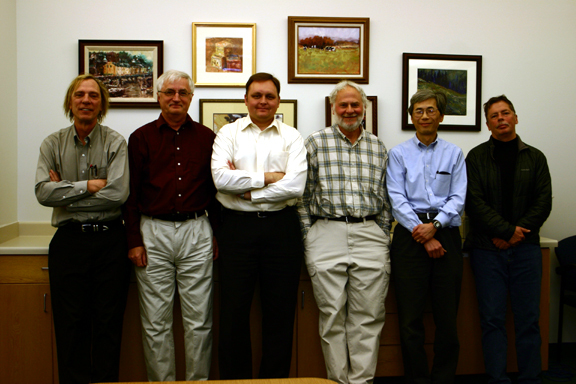 Welcome Nikolay Tkachenko and Maksim Kulichenko to the Boldyrev Group! Ivan A. Popov has received an offer of employment and won the Director's Postdoctoral Fellowship from Los Alamos National Laboratory. Huge congratulations to Ivan!!! He is expected to join the new lab this July. Congratulations to Ivan A. Popov!!! Ivan successfully defended his Ph.D.!!! Congrats, Dr. Popov!!! Another great news!!! Alex Boldyrev has been named the University Outstanding Graduate Mentor for 2017. The quality of mentoring that Alex has provided to graduate students is impressive!!! Big congratulations!!! Extremely well-deserved!!! Great news!!! Alex Boldyrev has recently published his 10th article in Angewandte Chemie in 10 years!!! His author profile has been featured in this prestigious jounal. Congratulations!!! Well deserved!!! Ivan Popov won the 2016-2017 College of Science PhD Graduate Researcher of the Year Award! Congratulations!!! C&EN magazine selected 20 people who made noteworthy statements during 2016 to highlight in a year-end review. Prof. Boldyrev's quote appeared to be among the most powerful quotes of 2016: "We now have a zoo of aromaticity, and no matter which way you view it, we need to think about how we might use this new information." Congratulations to Alex with such an important recognition!!! 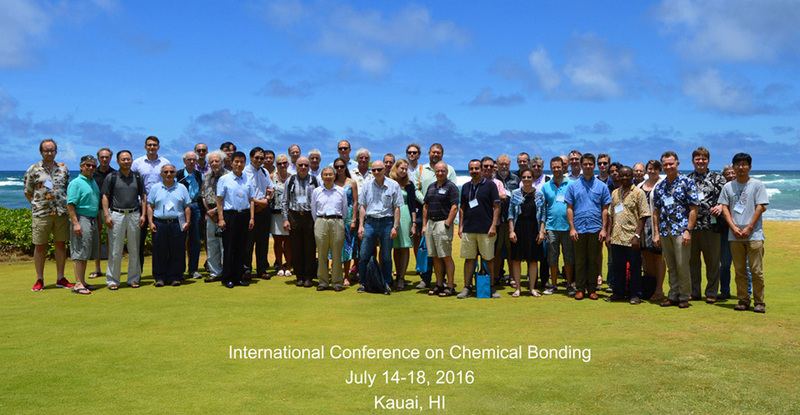 Our International Conference on Chemical Bonding (ICCB 2016) is highlighted in C&EN magazine! Thanks to the Senior Correspondent, Steve K. Ritter, who wrote a great article entitled "The art of the chemical bond" overviewing the conference! Great success!!! Alex Boldyrev in collaboration with academician Prof. Vladimir I. Minkin, Prof. Ruslan M. Minyaev, Prof. Andrey G. Starikov, Prof. Tatyana N. Gribanova and their colleagues from Southern Federal University won Russian Megagrant!!! Congratulations to the international team!!! 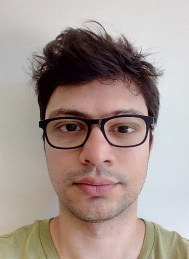 Ph.D. student Athanasios Arvanitidis from University of Leuven, Belgium (Prof. Ceulemans group) has joined Dr. Boldyrev's lab as a Visiting Scholar at USU. Welcome!!! Professor Li-Ming Yang from Huazhong University of Science and Technology has joined Dr. Boldyrev's lab as a Visiting Professor at USU. Welcome!!! Prof. Alexander I. Boldyrev (USU), Prof. Anastassia Alexandrova (UCLA), Natalia Boldyreva, and Ivan A. Popov organized the fourth International Conference on Chemical Bonding (ICCB 2016). The conference is aimed at the exploring and applying different chemical bonding models towards various complex systems (from small clusters to bulky solid-state materials) from both computational and experimental perspectives. This annual meeting brought together 49 theoreticians and experimentalists from 15 countries including universities, institutes and national laboratories. 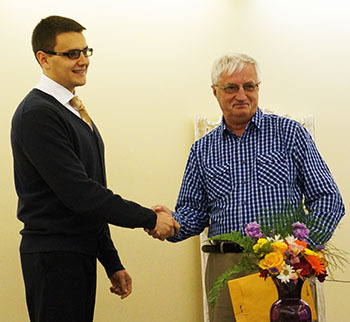 Ivan A. Popov was chosen as a winner in the graduate oral presentation session at the USU Student Research Symposium. Congratulations!!! Well deserved! Another great news!!! 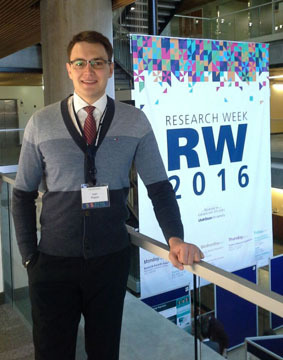 Ivan A. Popov has won the Graduate Research and Collaborative Opportunities (GRCO) Grant. 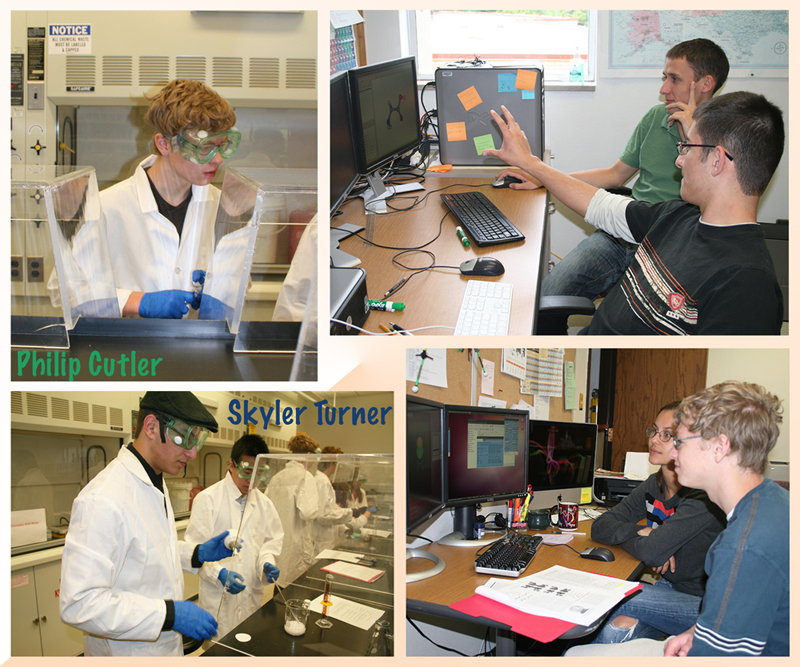 GRCO Grant program, funded by the Student Involvement and Leadership Center, supports worthy independent student projects that advance a student s professional development and contributes to the scientific community. Congratulations!!! Great news!!! 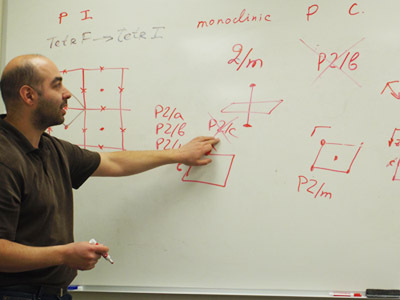 Ivan A. Popov has won the Marjorie H. Gardner Teaching Award. This award emphasizes his outstanding work as a teaching assistant at Utah State University. Congratulations!! Our Angew. Chem. Int. Ed. paper by Xue Min, Ivan A. Popov, Fu-Xing Pan, Lei-Jiao Li, Eduard Matito, Zhong-Ming Sun, Lai-Sheng Wang, Alexander I. Boldyrev has been highlighted in Chemical & Engineering News: "Cyclic antimony complexes take aromaticity to a new level". Congratulations to the team!!! Ivan A. Popov presented his research at Student Research Symposium 2016 with the talk: "Cobalt-Centred Boron Molecular Drums: the Highest Coordination Number in Chemistry". Stephen K. Ritter, a senior correspondent of Chemical & Engineering News (a flagship organ of The American Chemical Society) has recently requested our group to serve as experts in the search for the smallest three-membered aromatic ring that can be formed from the first nine elements of the periodic table. A current doctoral student Ivan A. Popov together with Professor Alexander I. Boldyrev have performed necessary quantum-chemical calculations to help answer the question of how low aromaticity can go. These findings are summarized in the following issue of C&EN magazine (Volume 94 Issue 10, pp. 28-29): The littlest aromate. A new graduate student, Katie Simpson has joined Dr. Boldyrev's lab to pursue the Ph. D. degree at USU. Welcome!!! Another great news!!! Our recently reported CoB16- molecular drum has been named one of the Molecules of the Year for 2015 by Chemical & Engineering News. Congratulations to the team! Well deserved!! Our Nat. Commun. 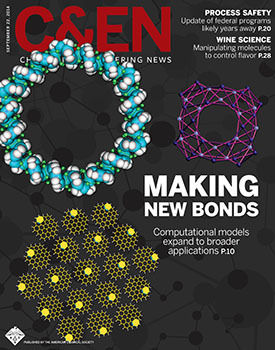 paper by Ivan A. Popov, Tian Jian, Gary V. Lopez, Alexander I. Boldyrev & Lai-Sheng Wang has been highlighted in Chemical & Engineering News: "Cobalt-Boron Molecular Drum Beats Bonding Record" and ChemViews Magazine: "Record Coordination Number"). Congratulations to the team!!! 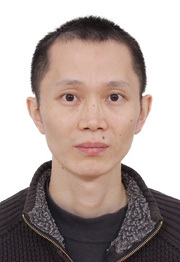 Associate Professor Dr. Longjiu Cheng from Anhui University has joined Dr. Boldyrev's lab as a Visiting Professor at USU. Welcome!!! Our group in collaboration with Prof. Anastassia Alexandrova (UCLA) organized the third International Conference on Chemical Bonding (ICCB 2015) in July 02-06, 2015. The conference is dedicated to a fundamental concept in chemistry and material science - chemical bonding. This annual meeting brought together theorists and experimentalists who probe new aspects of chemical bonding in matter and bond manipulation. Another great news!!! 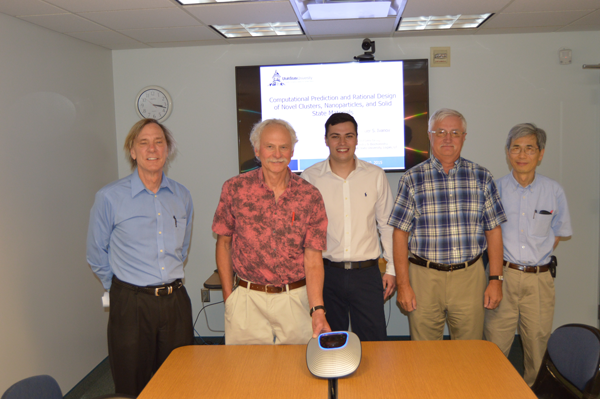 Alex Ivanov successfully defended his Ph.D.!!! Congrats, Dr. Ivanov!!! Alexander Boldyrev has been awarded Outstanding Reviewer Status (top 10th percentile in terms of the number of reviews completed for Chemical Physics in the past two years) by Elsevier. 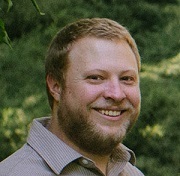 Alex Ivanov has received an offer of employment for a Postdoc Research Associate position (Computational Ligand Design in the Chemical Sciences Division) at the Oak Ridge National Laboratory. Congratulations to Alex! Hurray!!! He will join the new lab this September. Our recent J. Phys. Chem. C paper in collaboration with researches from Kyoto University (Japan) has been highlighted in Utah State Today! Congratulations to the team! Wonderful news!!! Alex Ivanov has become a father!!! Congratulations to Alex and his wife Svetlana!!! Congratulations to our undergraduate student Evan Miller on his first publication in peer-reviewed journals!!! The article concerning distortions in graphitic carbon nitride material was published in the Journal of Physical Chemistry C (ACS publications)!!! 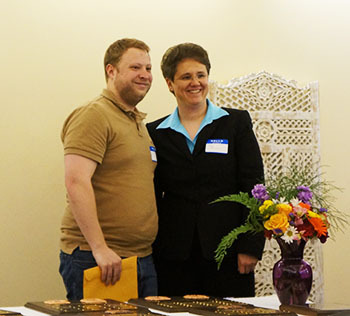 Our undergraduate student Evan Miller took home not one but two awards at tonight's ceremony: Harris O. and Eleanor Y. Van Orden award in Inorganic Chemistry and the prestigious ACS Inorganic Chemistry Award!!! Congratulations Evan! Well deserved! Congratulations to Ivan Popov on being awarded the Outstanding Graduate Student in Chemistry Award for his excellent research achievements!!! Great news!!! 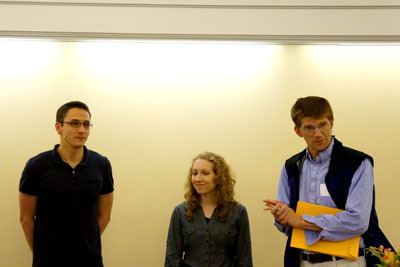 Alex Ivanov has won the Marjoririe H. Gardner Teaching Award. This award emphasizes his outstanding work as a teaching assistant at Utah State University. Congratulations!!! Alexander Ivanov and Ivan Popov presented their research at the 249th ACS National Meeting in Denver, CO.
We congratulate our undergraduate student J. Tyler Gish with his 1st publication! The communication is designated as "Hot Paper" by CHEMISTRY - A European Journal. Congratulations, Tyler!!! Great start!!! Our recent J. Am. Chem. Soc. paper in collaboration with Prof. Li-Ming Yang, Vladimir Bačić, Prof. Thomas Heine, Prof. Thomas Frauenheim and Prof. Eric Ganz has been highlighted in Nanoscience News [University of Cambridge]!!! Congratulations to Ivan Popov, Alex Boldyrev, and our collaborators!!! Great news!!! 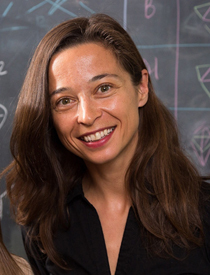 Anastassia Alexandrova (Ph.D. from our group, USU, 2005) was unanimously approved to an early promotion (after 4 years) to associate professor with tenure at the Department of Chemistry and Biochemistry, University of California, Los Angeles, starting July 1, 2015. Congratulations, Anastassia!!! Our first work on the chemical bonding in one-dimensional solid-state materials in Angew. Chem. Int. Ed. paper in collaboration with Boris B. Averkiev, Alyona A. Starikova, Ruslan M. Minyaev, and Vladimir I. Minkin has been highlighted in Sciencing and Nanoscience News [University of Cambridge]!!! Congratulations to Ivan Popov, Alex Boldyrev, and our collaborators!!! 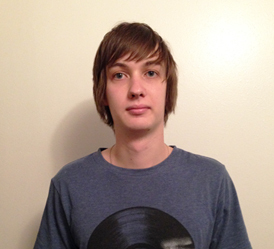 A new graduate student, Valery Popov has joined Dr. Boldyrev's lab to pursue the Ph. D. degree at USU. Welcome!!! 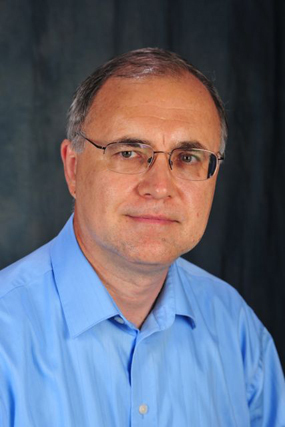 Dr. Anton Nizovtsev joined our group. Anton is the 1st researcher from Nikolaev Institute of Inorganic Chemistry of the Siberian Branch of the Russian Academy of Sciences in Prof. Boldyrev's lab history. Welcome! The second International Conference on Chemical Bonding (ICCB 2014) organized by Prof. Alexander Boldyrev and Prof. Anastassia Alexandrova (UCLA) got highlighted in C&EN journal as the cover story!!! Congratulations!!! Good news! Our proposal CHE-1361413 "Assessing the Potentials of the Adaptive Natural Density Partitioning Methods for Rationalizing Chemical Bonding in Novel Clusters, Solids, Interfaces, and Clusters on Surfaces" has been funded by the NSF Division of Chemistry! This includes a base level of the research support of $110,000 per year (2014 - 2017 years). Congratulations to Prof. Boldyrev and his group!!! 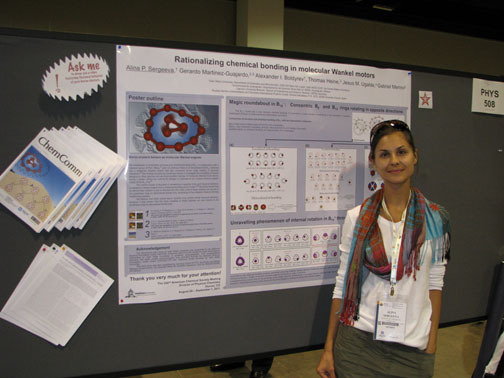 Our group in collaboration with Prof. Anastassia Alexandrova (UCLA) participated in organizing the second International Conference on Chemical Bonding (ICCB 2014) in July 24-28, 2014. The conference brought together about 46 scientists from all over the world who probe and reveal new aspects of chemical bonding. To date, the theory of chemical bonding keeps undergoing its rapid development, but at the same time it still remains a sensuous science, and many chemists have difficulties identifying the origin of chemical bonding with an abstract mathematical function. Thus, the chemical bond will surely remain a source of controversial discussion for many years, and we believe that the conference will bring clarity in many aspects of chemical bonding theory. Our recent Angew. Chem. Int. Ed. paper in collaboration with Prof. Zhdankin has been highlighted in Chemistry World!!! Congrats to the team! Timur Galeev received an offer for a Postdoctoral Associate position from Professor Mark Gerstein at Yale University. Congratulations to Timur! Hurray!! He will join the new lab this September. Another greatest news in our group!!! Timur Galeev successfully defended his Ph.D.!!! Congrats Dr. Galeev!! Congratulations to Alexander Ivanov!! Alex wins the Outstanding Graduate Student in Chemistry Award for his excellent research and academic achievements!! Another great news!!! 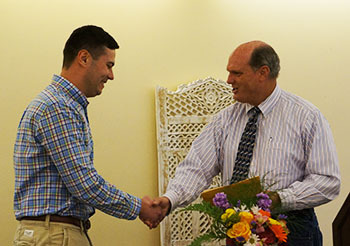 Timur Galeev collected the Marjorie H. Gardner Teaching Award at the Department Awards Ceremony tonight. This award acknowledges his outstanding work as a teaching assistant. Big congratulations to Timur!!! The Greatest news in our lab for this year!!! Timur Galeev won the most prestigious trophy - the USU Robins Award in the category "Researcher of the Year 2014"! Now we have five(!) Robins Awards in Alex Boldyrev's group! Congratulations to both Timur and Alex! Another highlight of our research! A recent paper by Alexander Ivanov, Prof. Alexander Boldyrev, and Prof. Gernot Frenking (Philipps-Universit? ?t Marburg) has been highlighted in ChemistryViews. Congratulations to the team! 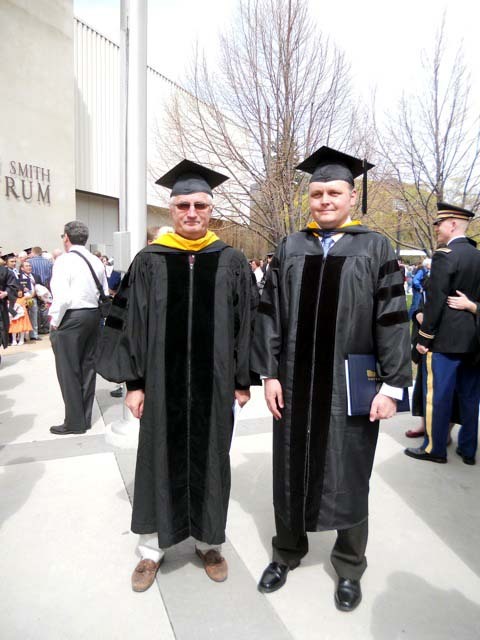 Timur Galeev won the 2013-2014 College of science PhD Graduate Researcher of the Year Award ! Congrats!!! Dr. Boris Averkiev, our former graduate student, visited our group and gave a series of lectures on Crystallographic Space Groups. Professor Viktor V. Zhdankin from University of Minnesota Duluth visited our group and the Department of Chemistry and Biochemistry, USU to give a Departmental Seminar entitled "Hypervalent Iodine Chemistry"
Alex Boldyrev and Anastassia Alexandrova coorganized the International Conference on Chemical Bonding - 2013 (July 4-8, 2013, Kauai, HI, USA). Another great news!!! 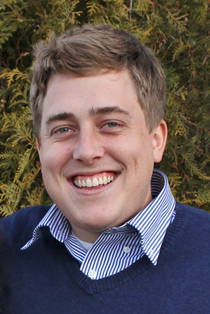 Timur Galeev won the School of Graduate Studies Dissertation Fellowship for the 2013-14 Academic Year! Congratulations to Timur Galeev! Timur won the prestigious Outstanding Graduate Student in Chemistry Award ! Congratulations to Ivan Popov! Ivan won the Award for Early Research Progress in Chemistry ! Congratulations to Alexander Ivanov! Alex won the Award for Early Research Progress in Chemistry ! Alex Boldyrev was awarded an Alexander von Humboldt Alumni Award (March 1 - May 30, 2013) to work at Phillips University in Marburg, Germany with Professor Gernot Frenking. Alex Boldyrev was awarded a Fulbright Scholarship (September 1 - November 30, 2012) to work at Comenius University, Bratislava, Slovakia with Professor Ivan Černušàk. Congratulations to Alina Sergeeva and Anastassia Alexandrova (Assistant Professor at University of California, LA)! Their paper on a photodriven molecular wankel in Angew. Chem. Int. Ed. was highlighted in Nature Nanotechology! Congratulations to Alexander Ivanov and Alex Boldyrev! Their recent paper on inorganic double-helices published in Angew. Chem. Int. Ed. got highlighted in Chemical & Engineering News! Congratulations to Edison Osorio (visiting Ph. D. student)!!! Collaboration between Universidad Andres Bello (Santiago, Chile) and Utah State University resulted in a joint article recently published in Chem. Eur. J. Another great news!!! Alina Sergeeva received and accepted an offer from Professor Honig at Columbia University for a Postdoctoral Position at the Department of Biochemistry and Molecular Biophysics!!! Congratulations to Alina Sergeeva! Hurray!!!! Congratulations to Alexander Ivanov!! !Alexander excellently defended his Masters dissertation and got Diploma with Honors at Peoples' Friendship University of Russia, Moscow. 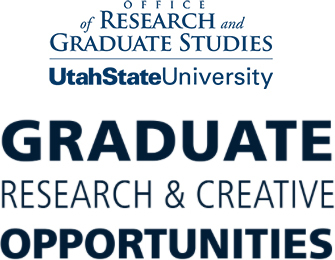 Jared Olson has been appointed as Adjunct Assistant Professor at the Department of Chemistry and Biochemistry, Utah State University! 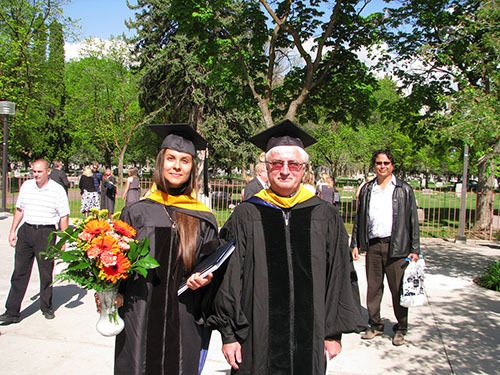 Alina Sergeeva graduated from USU with a Doctor of Philosophy degree in Chemistry! Congratulations to Dr. Alina Sergeeva !! Congratulations to Alina Sergeeva! Alina won the Marjorie H. Gardner Teaching Award for her outstanding work as a teaching assistant. Another great news! Our recent paper on aromaticity in graphene published in Nano Research was highlighted in VerticalNews ! Congratulations to Ivan Popov and Alex Boldyrev! 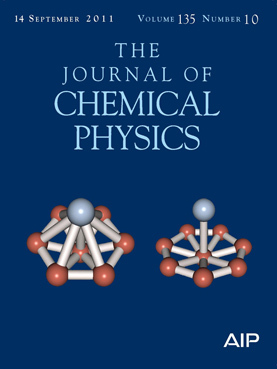 The Editors at The Journal of Chemical Physics facilitate publication of the most innovative and influential articles in the field of Chemical Physics each year. 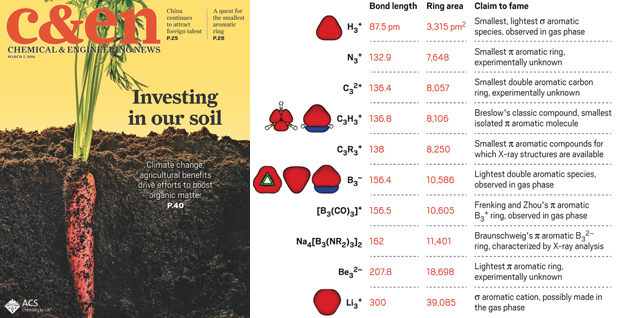 Our paper on all-boron analogues of aromatic hydrocarbons was selected among a few of the many notable JCP articles published in 2011 that present ground-breaking research. 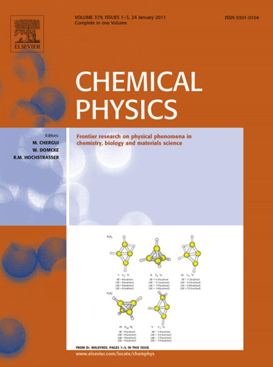 Check out the Journal of Chemical Physics Editors' Choice for 2011. Congratulations to Alina, Boris and Alexander! Congratulations to Alina Sergeeva!!! 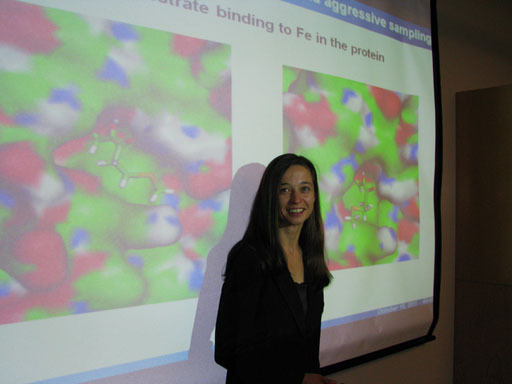 Alina defendended her Ph.D. dissertation entitled "Rationalizing Structure, Stability, and Chemical Bonding of Pure and Doped Clusters, Isolated and Solvated Multiply Charged Anions, and Solid State Materials." Congratulations to Alina Sergeeva! 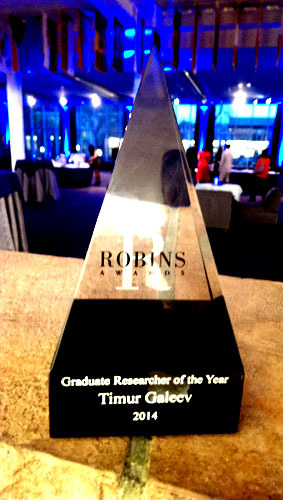 Alina has been named the 2011-2012 College of Science Ph.D. Graduate Researcher of the Year!! Professor Alexander M. Mebel from Florida International University visited our group and gave a Departmental Seminar entitled "Photochemically Induced Cold Synthesis of Complex Organic Molecules on Titan and in the Interstellar Medium"
Another great news! The team's paper was highlighted in Chemical & Engineering News! Congratulations to Timur Galeev, Alex Boldyrev and the collaborators from Brown University - their Angew. Chem. Int. Ed. paper was also highlighted in Chemistry World! Our recent paper published in collaboration with the Wang group at Brown was highlighted in Utah State Today! Congratulations to Timur Galeev and Alex Boldyrev! Ivan Popov published his first paper: Is Graphene Aromatic? in Nano Research. Congratulations!!! This paper is our first publication in a nanoscience focused journal. Our former graduate student who is now an Assistant Professor at University of California, Los Angeles, Anastassia N. Alexandrova, came to give a departmental seminar entitled: "Artificial Enzymes: catalysis ahead of Nature". The paper we published in collaboration with Prof. Wang's group, "Valence isoelectronic substitution in the B8 " and B9 " molecular wheels by an Al dopant atom: Umbrella-like structures of AlB7 " and AlB8 "", was featured on the cover of J. Chem. Phys. Congratulations to Timur Galeev with his first cover page! Alina won the American Chemical Society Physical Chemistry Division Outstanding Student Poster Award at the 242nd ACS Meeting, Denver, CO.
Our group welcomes Edison Humberto Osorio Lopez, a visiting Ph. D. student from Universidad Andres Bello, Santiago, Chile. Two new graduate students, Alexander Ivanov and Ivan Popov, joined the lab to pursue the Ph. D. degree at USU. Welcome!!! Zachary Piazza, a graduate student from the reseach lab of Professor Wang from Brown Univeristy, has come to visit our group for two months. Welcome! The paper we published in collaboration with Prof. Merino, Prof. Heine, Prof. Ugalde and Gerardo Mart? 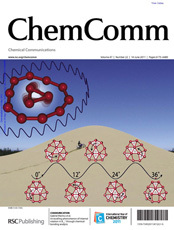 ?nez-Guajardo, "Unravelling phenomenon of internal rotation in B13+ through chemical bonding analysis", is on the cover of Chemical Communications (Issue 22, 2011, 47, 6244-6246). Congratulations to Alina Sergeeva with her first cover page! Congratulations to Jared Olson on graduation from USU with a Doctor of Philosophy degree in Chemistry!!! Congratulations to Alina Sergeeva on being awarded the Outstanding Graduate Student in Chemistry Award! Congratulations to Timur Galeev for winning the Award for Early Research Progress in Chemistry! Congratulations to Alina Sergeeva on being awarded the School of Graduate Studies Dissertation Fellowship for the 2011-12 Academic Year! Congratulations to Timur Galeev and Alexander Ivanov (an upcoming graduate student, who is to join our lab in Fall'12) on getting published their first article from Utah State University. Congratulations to Nancy Perez Peralta with her interview for a faculty position at Facultad de Quimica, Universidad Nacional Autonoma de Mexico, Mexico City, Mexico. Nancy Perez Peralta joined our group. Nancy is the 1st postdoctoral associate in Prof. Boldyrev's lab history. She got the CONACYT Scholarship (Consejo Nacional de Ciencia y Tecnologia or The National Council on Science and Technology) No. 148014, which supports her postdoctoral research. Welcome! Congratulations to Jared Olson. 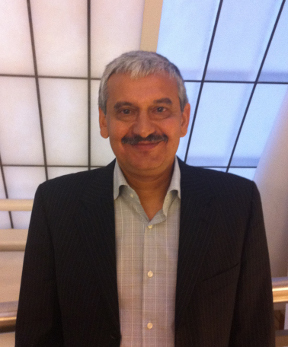 His recently published article appeared on the cover page of Chemical Physics journal. "Ab initio Search for Novel BxHy Building Blocks with Potential for Hydrogen Storage"